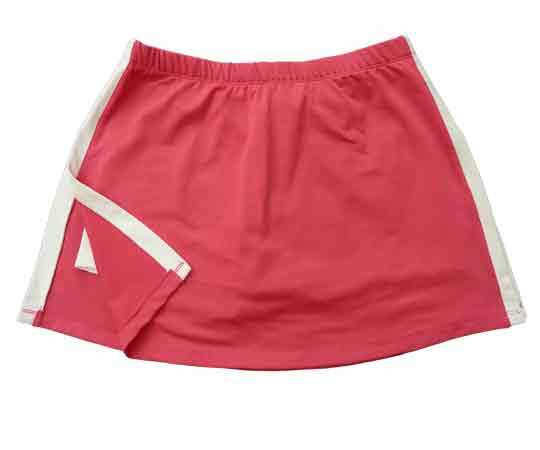 Aida skort in vibrant hot pink with contrasting stripe and matching undershorts. Match up with 3 striped tank also in white/hot pink combination. Side slits on both sides, elasticated waist, no ball pocket. Length 14" size Medium only.